How do you maintain your soil fertility when nutrient is constantly being exported in the form of grain / cotton / beef / hay etc ? Have you been replacing only a few of the nutrients you have been exporting off farm (N and P)? What resources does your soil have to sustain your future production? Years of experience in working out least cost fertiliser programs has demonstrated that often the best option for addressing these issues is use of recycled organic fertilisers such as chicken and cow manure that are high in nutrients. Not only can it be the cheapest way of replacing nutrients and trace elements removed off farm, but you are essentially feeding your soil microbial population the protein (nitrogen) and carbohydrates (carbon) they need to breed up and improve your soil. Soil porosity is a key parameter of a healthy soil. Minimizing compaction from machinery and livestock, minimising water logging can all help. 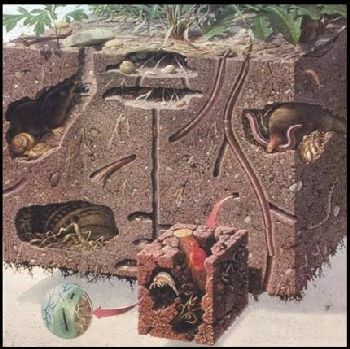 The activity of the soil biota, especially the larger meso and macro arthropods such as dung beetles and earth worms make a huge contribution to aerating soil. An aerobic soil is a healthy one that can readily mineralise nutrient for plant uptake from organic matter and less available soil nutrient pools. 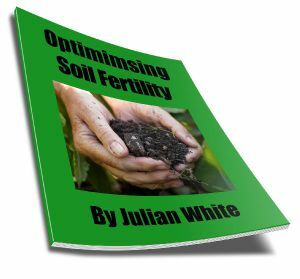 Rooting depth and phosphorus placement are important considerations when deciding on not only what fertiliser to use but also how much, when and where to fertilise. Call or email today to discuss your fertiliser program “in depth” pardon the pun!